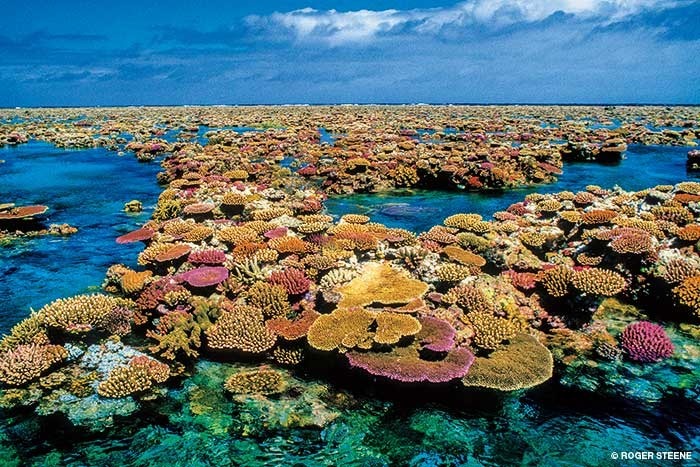 A Response to ABC’s Media Watch’s “Shoot the Coral Messenger” Flimflam! This reblog is in response to the current Australian “scientists” and media, blatantly misleading claim that “global warming” is devastating the Great Barrier Reef when it is quite clear that many factors are involved. (In particular El Nino warm periods). It seems that this particular ‘outburst’ is a response to Pauline Hansen’s media release showing an example of most of the Reef being quite healthy. And so the politically motivated wrangling goes on (and on) each side claiming scientific credibility leaving the public swayed by the mass media which is heavily biassed towards the political warming agenda. Here is some real information, one of many posts revealed by a search on WUWT for “coral reef changes”. This entry was posted in AGW, AUSTRALIA, climate change, ENVIRONMENT, World Issues and tagged Australia, Carbon dioxide, Climate change, ENVIRONMENT, Global warming, Great Barrier Reef, Media Bias, Politics in Science.. Bookmark the permalink.